The Accountancy programme was designed after a series of consultations with various industry heads, accreditation bodies, and external faculty consultants. This 3-year direct honours programme will hone students’ critical and analytical skills in addition to the requisite knowledge needed for professional accounting career in commerce, industry, government or public practice. Graduates will be specialists with deep skill-sets ready for the accounting sector. As accountants’ roles involve constant communication, the accountancy curriculum will enhance students’ soft skills through interactive activities such as oral and written presentations, as well as individual and team-based assignments which will be regular features in the programme. The curriculum will include various modules such as change management, forensic accounting, internal auditing, regional tax planning, strategic accounting, etc. Some of the highlights include the Integrated Work Study Programme (IWSP) which runs through peak auditing periods. Following the IWSP, students will undertake a business Capstone module and modules in their focused area of interests such as Audit or Tax. Students will also have Regional Exposure to Accounting Practice (REAP). Practice-oriented trainings will be provided by industry experts. In addition, the programme has been accepted into the CFA Institute University Recognition Programme as it incorporates at least 70% of the CFA Programme Candidate Body of Knowledge (CBOK), which provides students with a solid grounding in the CBOK and prepares them well to sit for the CFA exams. Accountants are highly sought-after across diverse industries such as banking, management consulting and the service sector. Graduates can join the national accountancy body of Singapore (ISCA) as Associates and extend their professional qualifications by completing the Singapore CA (Qualification) professional programme and becoming a Chartered Accountant of Singapore or CA (Singapore), which will enhance their career opportunities. Graduates will also be able to pursue professional qualifications from other internationally-renowned accounting professional bodies such as CAANZ, CIMA, CPA Australia and ICAEW, amongst others. Students with relevant accounting background, i.e., Diploma in Accountancy/Accounting may apply for up to three trimesters of exemptions from the first year. For students with non-relevant accounting background, i.e., Diplomas from other disciplines; exemptions of modules will be considered on a case-by-case basis. This module introduces the basic concepts and principles of financial accounting. No prior knowledge of the subject is required. Topics covered in the module include the accounting principles, the accounting cycle, and the accounting conceptual framework underlying the preparation of financial statements. The financial statements (income statement, statement of financial position, statement of comprehensive income, statement of changes in shareholders' equity and cash flow statement) and their components (inventory, non-current assets, current liabilities, long-term liabilities, shareholders' equity, revenues, expenses and other comprehensive income) are explained. The scope of this module includes principles of microeconomics and macroeconomics. The first half of this module introduces core principles of the work in economics and topics covered include the scarcity, the incentive, opportunity cost, supply, demand, elasticity, different types of market structures and game theory. The second half of this module introduces the broad picture of the economy, macroeconomics. The topics covered in the module include aggregate demand and supply, gross domestic production, price level. Building on the macroeconomics concepts, the module also examines the economic cycles and fluctuations, government intervention using monetary and fiscal policy and international economy. This module provides an understanding of the fundamentals in organisational behaviours and management. Topics covered in the module include organisation design, organisational culture, organisational change, decision making, and management of conflicts. This module provides the knowledge and understanding of the relevant Singapore laws applicable to business activities that are fundamental to the competency of an accountant or finance practitioner. The focus is to provide students with a working knowledge of selected categories of law relevant to business in Singapore. Topics covered in the module include laws of contract, agency, business organisations, tort and intellectual property law. This module provides students with a basic understanding of finance theory and the fundamental tools of financial decision-making. It lays the foundation for more advance finance modules. Topics covered in the module include the basic concepts of financial mathematics, investment evaluation techniques, the use of the Net Present Value (NPV) rule, capital budgeting, the valuation of both debt and equity securities, risk and return relationships, and diversification and portfolio theory. This module provides an introduction to information and communications technology within the organizational and social context, and the role technology plays in managing businesses and delivering services. The focus will be on the management and strategy aspects of computer systems. Topics covered in the module include methods for improving business competitiveness and creation of new value via technology in the current networked and global climate. Other topics including processes, policy implications, ethics and social responsibility are also covered. This modules introduces the audit processes and practices within the framework of auditing standards. Students will be introduced to the basic ethical principles, threats to independence and the fundamental auditing concept of independence, audit evidence and audit risk. The practical aspect of auditing will then be explored where students will learn how auditing is conducted in terms of audit planning. Topics include audit evidence and audit documentation, risk assessment, internal control procedures, and audit engagements. A pre-requisite of ACC1001 Introduction to Financial Accounting is required for this module. This module introduces the basic management accounting concepts and techniques which involve planning, directing, decision making and controlling functions of an organisation. Topics covered in the module include product costing, activity-based costing and management, activity analysis, cost behaviour and cost estimation, cost volume profit analysis, profit planning, budgeting and decision making. Pre-requisite: ACC1001 Introduction to Financial Accounting. This module provides students with an overview of computerized accounting application system, emphasizing the recording of day to day business transactions. Students will acquire the skill in recording business transactions using a computerized accounting package, analysing financial reports and preparing financial statements. Topics covered in the module include manual accounting system, computerized accounts setup, Enterprise Resources Planning system, and industry trend such as cloud accounting. Pre-requisite: ACC1001 Introduction to Financial Accounting. This module builds on the knowledge in ACC1001 Introduction to Financial Accounting. 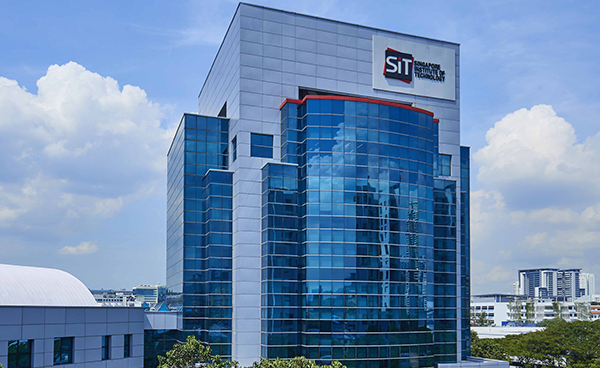 It covers the preparation of corporate financial statements that comply with the Singapore’s Financial Reporting Standards (SFRS), which are based on the International Financial Reporting Standards (IFRS) and other regulatory requirements. Topics covered in the module include the fundamentals on accounting for revenues, property plant and equipment, leases, investments in bonds and equities, investment properties, income taxes, provisions and contingent liabilities, changes in accounting policies and accounting estimates. Pre-requisite: ACC1001 Introduction to Financial Accounting. This module aims to open students’ eyes and broaden students’ minds to the omnipresent marketing concepts that they grew up with and are surrounded by. The practical uses of these concepts will be illustrated via a multitude of real-life examples in local and international settings. Topics covered in the module include creating customer relationships and value through marketing, ethical and social responsibility in marketing, understanding consumer behaviour, marketing research, developing new products and services, service marketing, and strategic marketing process. Many business professionals find statistics useful in their work: Financial specialists use statistical models to perform portfolio analysis, while forensic accountants rely on statistical methods to uncover financial fraud. Therefore, a firm grounding in business statistics is critical to every individual who wishes to excel in the accounting profession. With the aid of business focused settings, students will learn and master descriptive statistics, probability theory and distributions, sampling distributions, inferential statistics and regression analysis. Beyond the statistical computations, this module makes attempt to emphasis conceptual understanding, interpretation of statistical results and application to case studies. This module aims to equip students with the intermediate knowledge and skills to account for various business transactions and prepare financial statements that comply with the Singapore's Financial Reporting Standards (SFRS) / International Financial Reporting Standards (IFRS). Topics covered in the module include accounting for revenues, inventory, property, plant and equipment, investment properties, income taxes, provisions and contingencies, changes in accounting policies and accounting estimates, consolidation, borrowing costs, operating segments, related party disclosures and intangibles. Pre-requisite: ACC1012 Regulatory Framework of Accounting. This module builds on the knowledge in ACC1009 Audit Process and further develops students' knowledge on the advance concept of audit process and practices that comply with the Singapore Standards on Auditing (SSAs). Topics covered in the module include regulatory frameworks for audit and assurance services, anti-money laundering and terrorism financing, fraud and error, quality control, performing the audit, auditor's reports and current issues and developments relation to the auditing profession. Pre-requisites: ACC1009 Audit Process and ACC1012 Regulatory Framework of Accounting. This module develops a basic knowledge of finance from the corporate financial manager's point of view and develops skills in planning and decision making in the financial area. It builds on the concepts of corporate finance developed in ACC1005 Foundations of Finance. Topics covered in the module include capital structure, debt and taxes, financial distress, managerial incentives and information, dividend policy, capital budgeting and valuation with leverage, financial and real options, mergers and acquisitions and Environmental, Social and Corporate Governance. Pre-requisite: ACC1005 Foundations of Finance. This module demonstrates how information systems are integrated in accounting and auditing. It will also look into detail how information systems will be used to document, analyse and maintained for the accounting cycles. Students will also exposed to the operation of an accounting enterprise resource planning system. Topics covered in the module include accounting information system and business processes, systems documentation, information security and privacy controls. Pre-requisite: ACC1011 Enterprise Accounting Applications. This module is at intermediate to advanced financial accounting level. Topics covered in the module include leases, investments in bonds and equities and consolidation, impairment of assets, business combinations, equity accounting for associates, joint arrangements, foreign currency translations, derivative accounting, fair value measurement, share-based payments and earnings per share. Pre-requisite: ACC2001 Financial Accounting. This module builds on the knowledge from ACC1010 Introduction to Management Accounting. It furthers students’ knowledge and techniques in advanced management accounting and focuses on management control systems and standard costing systems. Topics covered in the module include a broad range of contemporary topics, such as incentive compensation plans, responsibility accounting, multidimensional performance measures, target costing and pricing decisions, and transfer pricing. Pre-Requisite: ACC1010 Introduction to Management Accounting. The largest number of incorporated entities in Singapore are created pursuant to the Companies Act (Cap 50). In this context, knowledge and understanding of the procedural and substantive framework of company law are fundamental to the competency of an accountant or finance practitioner. The focus of this course is to provide students with a working knowledge of the procedural and substantive elements of company law. The course will encompass fundamental aspects of the law in Singapore relating to company formation, membership and rights of members, directorship and management, finance, insolvency and liquidation. The module will also cover key principles of dispute resolution processes in Singapore. Although litigation is the most widely accepted method of resolving civil and commercial disputes, students will be provided with a working knowledge of negotiation, arbitration, and mediation. The unifying theme in investment analysis is that security markets are nearly efficient, meaning that most securities are priced appropriately given their risk and return attributes. Therefore, this module is designed to develop understanding of, and practice in applying, core concepts in finance that facilitate better investment decisions. The emphasis is on asset allocation while presenting the practical applications of investment theory. In sum, this module provides an in-depth understanding of investment analysis and the capital market. Topics include market efficiency, risk and return, empirical behaviour of share prices and returns; fundamental analysis of equities; portfolio analysis; asset pricing models; behavioural finance (ie, the psychology of finance) and asset price bubbles. This module is specially designed to go beyond the theory and technical skills presented in most standard textbooks that accounting students are expected to develop in university education. It instead focuses on the life skills that a professional auditor should be aware of and attuned to before they enter the practice. Topics covered in the module include the professional etiquettes for an auditor, simulated audit engagements, ethics, conflict of interest and clients' retention, and challenges on audit engagement. This module should be enrolled together with ACC2902 Career Development Skills. This is the first of three compulsory value-added programmes in career and professional development with an aim to develop the soft skills necessary for the transition from university to a real work environment. This module will include a series of workshops covering a range of topics looking to develop the skills needed for successful employment in the Accountancy sector. Topics will include Resume Writing and Cover Letter, Interview Skills, Personal Grooming and Professional Presence and Communication skills. This module provides students with the ability to manipulate spreadsheets effectively. Spreadsheet skills are essential in diverse accounting settings including auditing and reporting. The module therefore focuses on familiarizing students with intermediate-level Excel skills. Topics covered in the module include text and financial functions, lookups, and PivotTable. The Integrated Work Study Programme (IWSP) is a distinctive feature of SIT’s degree programmes, where students are expected to undertake real work experience, allowing them to integrate theory and practice and develop deep specialist skills in their chosen field. The 8 months of IWSP with students performing real work also provides an opportunity for companies to evaluate the suitability of students as potential employees. Under the guidance of SIT’s IWSP Supervisors and Company appointed Work Supervisors, student will also have ample opportunity to immerse in the industry’s business and culture. Besides producing practice-oriented graduates, IWSP will also be the platform through which students will be challenged during their work attachment stint to initiate an innovative project via a design thinking programme. In this way, the IWSP will be a key platform that contributes to the inculcation of the SIT-DNA in every student. Pre-requisites: ACC2001 Financial Accounting, ACC2002 Auditing, ACC2901 The Essentials of An Auditor and ACC2902 Career Development Skills. This modules provides an intermediate to advance level on the use of spreadsheets in finance and accounting modelling. It covers from the basic skills of using spreadsheets to more complicated financial models. Topics covered in the module include developing spreadsheet skills for financial statement analysis and forecasting, determining financial and operating leverage, identifying break-even points, and performing capital budgeting. This module equips students with the knowledge and analytical abilities to critically evaluate contemporary accounting issues as well as to understand the challenges facing the accounting profession. Through the exploration of established accounting theories, an insight into the principles and concepts that underpin both accounting practice and regulation will be acquired. Topics include regulation, measurement issues, normative theories, positive accounting theory, systems theories and corporate social responsibility reporting. Pre-requisite: ACC2007 Corporate Accounting. This module introduces students to 2 principal taxes in Singapore – Income tax and the Goods & Services Tax (GST). In particular, Singapore tax system includes the legislative framework for taxation, income tax administration, basic tax concepts including concept of taxable income and tax deductions and capital allowances, taxation of companies, individuals, partnerships, non-residents, foreign income, tax planning incentives and goods & services tax. Students will also be able to gain insights into the roles and responsibilities of working in the tax industry. Topics covered in the module include preparation of tax computations, identifying tax planning opportunities and apply them to the real world circumstances. Pre-requisite: ACC2007 Corporate Accounting. This module emphasizes on how parties external to the company employ publicly available information, company reports and financial market information to evaluate the current and predict the future financial condition of the company. The analytical techniques of financial statement analysis (e.g. fundamental analysis, cash flow analysis and pro forma analysis) and the issue of the 'reliability' and 'quality' of publicly available information are discussed and explored. Topics covered in the module include strategic analysis, financial analysis, forecasting, valuation theory and concepts, valuation implementation, equity security analysis, credit analysis and distress prediction. Pre-requisite: ACC2005 Investment analysis. This module develops students' understanding related to the challenges and opportunities presented by changes in science, technology, society and organisations. Through a focus on themes of “Social Change” “Organisational Change” and “Individual Change”, students will develop understanding of how change occurs, why it occurs, and what we can do to anticipate, encourage and manage change. Topics covered in the module include disruptive technologies and cultural globalisation, urbanisation and gentrification, financial change and economic globalisation, organisational change models, and managing resistance to change and influencing change. This module focuses on helping students hone their questioning, listening and writing skills. It starts with a discussion of the characteristics and skills of an effective interviewer, the importance of cultivating professional scepticism, before delving into specific areas including pre-, during- and post- interview considerations, strategic questioning techniques, and rapport building in interviewing. The second half of the module focuses on helping students write effectively in the workplace. The assignments adopt a case study approach with a focus on a specific company, and consist of writing a business email, and a recommendation report. The module requires students to work in teams of five, and apply their accounting knowledge to industry problems using data analytic tools. The students learn how to use data visualization and other analytic tools to solve an accounting problem in a practical manner. This module aims to widening students' perspectives and exposing them to the cultural, economic and social nuances prevalent in the Asia-Pacific region. Aspects of the module include visits by academic faculty and industry partners from the Asia-Pacific region, as well as study trips in Asia-Pacific, including university and industry visits. This course uses the Capstone Business Simulation (CAPSIM) as a vehicle to enable students to gain exposure to developing and implementing appropriate business strategies in a highly competitive marketplace. In a simulation that mirrors a realistic marketplace, students are required to make coordinated and effective strategic decisions to manage a multi-million dollar “simulated company”. The types of decisions they make are all of a strategic nature and involve issues such as: developing and implementing an appropriate business strategy, product development, product life-cycle, production and capacity constraints, marketing, budgeting, sales forecasting, profitability analysis, resource allocation, capital raising, TQM and HRM. This module is one of the three modules in the corporate accounting focus area. It provides students with a good understanding and appreciation of complex financial accounting topics. Students will tackle the most complex issues in financial accounting, such as business combinations, group accounting, foreign currency-based transactions, financial instruments, earnings per share, etc. This module integrates most of the topics covered in earlier financial accounting modules within the context of group accounting. This module will be taught from the viewpoint of the preparer and is meant for students who expect to become Chartered Accountants (whether working in the public accounting firms or in businesses). Pre-requisites: ACC3001 Integrated Work Study Programme, ACC3004 Accounting for Decision Making and Control, and ACC3006 Business Valuation and Analysis. This module is one of the three modules in the corporate accounting focus area. It equips students with the knowledge and analytical skills in the areas of fraud and forensic accounting. In addition to acquiring technical skills, students will be challenged to develop mindsets that are inquisitive as well as questioning, which are key traits of forensic accountants. Topics include fraud prevention, fraud detection as well as methods and techniques employed by forensic accountants when undertaking analysis and investigation. Pre-requisites: ACC3001 Integrated Work Study Programme, ACC3004 Accounting for Decision Making and Control, and ACC3006 Business Valuation and Analysis. This module is one of the three modules in the corporate accounting focus area. It provide s students with tools to analyse company financial statements and to value the companies. Students learn the relationships among the various components of financial statements, and accounting for derivatives used in risk management and remuneration. The module will be taught from the viewpoint of the corporate treasurer/preparer and is meant for students who expect to become Chartered Accountants (whether working in the public accounting firms or in business). Pre-requisites: ACC3001 Integrated Work Study Programme, ACC3004 Accounting for Decision Making and Control, and ACC3006 Business Valuation and Analysis. This module is one of the three modules in the management accounting focus area. It provides advanced study of contemporary issues in management accounting and cost accounting. Topics include the modern business environment (including Total Quality Management and JIT production concepts), advanced variances, costing techniques (value chain analysis and lifecycle costing), learning curve, transfer pricing in the multinational setting, pricing strategies, risk management (TARA framework), and collecting and using of information. Pre-requisites of ACC1010 Introduction to Management Accounting, ACC2008 Management Control and Systems and ACC3001 Integrated Work Study Programme are required for this module. This module is one of the three modules in the management accounting focus area. It prepares students to assess challenges facing management in the planning, execution and control, and equipping them with the knowledge and skills to perform an integral role in the organisation’s strategic management functions. The module analyses best practices, the relationships and the performance measures, of specific management functions that supports strategy. Topics include operations management, project management, budget planning, finance and human resource management. Pre-requisites of ACC1010 Introduction to Management Accounting, ACC2008 Management Control and Systems and ACC3001 Integrated Work Study Programme are required for this module. This module is one of the three modules in the applied finance focus area. It provides the principles and fundamentals of pricing and trading derivatives. Students will acquire working knowledge of futures, options, swaps, and credit derivatives as well as the Bloomberg functions needed to analyse these products. Pre-requisites of ACC2004: Corporate Finance, ACC2005: Investment Analysis, ACC3006 Business Valuation and Analysis and ACC3001 Integrated Work Study Programme are required for this module. This module is one of the three modules in the applied finance focus area. It builds on advance finance modules with particular emphasis on financial policy decisions for firms operating in a multinational environment. Topics include international financial management, functions of multinational corporations, review of international monetary systems, foreign exchange risk, interest rate risk, country risk, multinational capital budgeting, multinational financing and capital structure as well as evaluating multinational projects. Pre-requisites of ACC2004: Corporate Finance, ACC2005: Investment Analysis, ACC3006 Business Valuation and Analysis and ACC3001 Integrated Work Study Programme are required for this module. This module is one of the three modules in the applied finance focus area. It provides an introduction to the Singapore Financial System. It also explores issues relating to international banking and current developments in the banking arena. Topics include bank risk management, asset and liability structures, securitisation, bank performance analysis, Monetary Authority of Singapore and prudential regulations, capital adequacy provisions (ie Basel Accord Principles) on bank lending policies, financial crises, and the alternative banking models (ie Islamic banking and micro-credit financing). Pre-requisites of ACC2004: Corporate Finance, ACC2005: Investment Analysis, ACC3006 Business Valuation and Analysis and ACC3001 Integrated Work Study Programme are required for this module.